This article will show how to fill a ListView Control with the data loaded into a DataSet. You may use a DataSet bind it to a Grid Control to show the output of a query, but data binding of controls is not always the ideal method of accessing the data (You may encounter problems with the DataBinding). A DataSet maintains a copy of the entire resultset in the client systems memory in case you need to make changes to a row. Instead of using a bound grid and a DataSet, we can use the listview control with the view set to details mode and fill it with the data from a DataSet. When you are working with the ListView control, you may want to sort its contents based on a specific column. An example of this kind of functionality occurs in a Windows Explorer program when you view the contents of a folder on your hard disk. 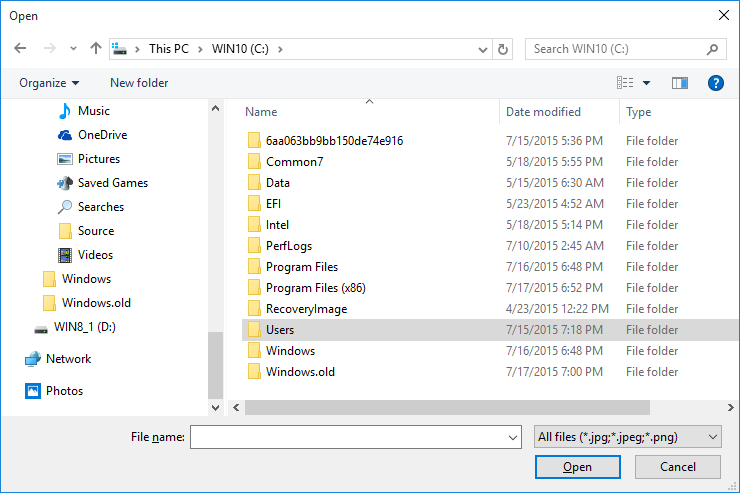 In Details view, Windows Explorer displays information about the files in that folder. For example, you see the file name, the file size, the file type, and the date that the file was modified. When you click one of the column headers, the list is sorted in ascending order based on that column. When you click the same column header again, the column is sorted in descending order. The example in this article defines a class that inherits from the IComparer interface. Additionally, this example uses the Compare method of the CaseInsenstiveComparer class to perform the actual comparison of the items. Note that this method of comparison is not case sensitive ("Apple" is considered to be the same as "apple"). Also, note that all of the columns in this example are sorted in a "text" manner. The ListView control is a great way to display file system information and data from an XML file or database. The ListView control is typically used to display a graphical icon that represents the item, as well as the item text. In addition, the ListView control can be used to display additional information about an item in a subitem. For example, if the ListView control is displaying a list of files, you can configure the ListView control to display details such as file size and attributes as subitems. To display subitem information in the ListView control, you must set the View property to View.Details. In addition, you must create ColumnHeader objects and assign them to the Columns property of the ListView control. Once these properties are set, items are displayed in a row and column format that is similar to a DataGrid control. The ability to display items in this way makes the ListView control a quick and easy solution for displaying data from any type of data source. Sorting for the ListView control is provided by using the Sorting property of the ListView. This enables you define the type of sorting to apply to the items. This is a great feature if you want to sort only by items. If you want to sort by subitems, you must use the custom sorting features of the ListView control. This article will demonstrate how to perform custom sorting in the ListView control and how to handle special data-type conditions when sorting. The ListView control provides features that enable you to use sorting other than that provided by the Sorting property. When the ListView control sorts items using the Sorting property, it uses a class that implements theSystem.Collections.IComparer interface. This class provides the sorting features used to sort each item. In order to sort by subitems, you must create your own class that implements the IComparer interface that in turn implements the sorting your ListView control needs. The class is defined with a constructor that specifies the column by which the ListView control is sorted. Once you have created this class, typically as a nested class of your form, you create an instance of this class and assign it to the ListViewItemSorter property of the ListView. This identifies the custom sorting class that the ListView control will use when the Sort method is called. The Sort method performs the actual sorting of the ListView items. To begin, create an instance of a ListView control and add it to a form. After the control is on the form, add items to the ListView control using the Items property. You can add as many items as you want; just be sure that each item's text is unique. While you are creating the items, add subitems for each. The following table is an example of how this information might look in the ListView control. // object that performs the sorting of items in the ListView. // with the Sort method to perform custom sorting. In this example we use a DataSet to load the "Titles" DataTable, which was filled with the Database Table "Titles" in the Pub Database on SQL-Server 2000. In order to determine which set of subitems to sort by, you need to know when the user clicks a column heading for a subitem. To do this, you need to create an event-handling method for the ColumnClick event of the ListView. Place the event-handling method as a member of your form and ensure that it contains a signature similar to the one shown in the following code example. // Determine if clicked column is already the column that is being sorted. Connect the event-handling method to the ListView control by adding code to the constructor of your form, as shown in the following example. The sorting is performed in a required method of the IComparer interface called Compare. This method takes two objects as parameters, which will contain the two items being compared. When the Sort method is called in the ColumnClick event-handling method of the ListView control, the Sort method uses the ListViewItemComparerobject that was defined and assigned to the ListViewItemSorter property and calls its Compare method. In this example the ListViewItemComparer class uses the Compare method of the CaseInsenstiveComparer class to perform the actual comparison of the items. Note that this method of comparison is not case sensitive ("Apple" is considered to be the same as "apple"). Also, note that all of the columns in this example are sorted in a "text" manner. The Compare method of the CaseInsenstiveComparer performs a case-insensitive comparison of two objects of the same type and returns a value indicating whether one is less than, equal to or greater than the other. Add the following class definition to your Form class and ensure that it is nested properly inside your form. // This class is an implementation of the 'IComparer' interface. // Specifies the order in which to sort (i.e. 'Ascending'). // This method is inherited from the IComparer interface. // apply the sorting operation (Defaults to '0'). // (for example, 'Ascending' or 'Descending'). Another approach is to use the String.Compare method. When the ListViewItemComparer object is created, it is assigned the index of the column that was clicked. This column index is used to access subitems from the column that needs to be sorted. The subitems are then passed to the String.Compare method, which compares the items and returns one of three results. If the item in the x parameter is less than the item in the y parameter, a value less than zero is returned. If the items are identical, a zero is returned. Finally, if the item in the x parameter is greater than the item in the y parameter, a value greater than zero is returned. Data that is placed into the ListView control as an item is displayed as text and stored as text. This makes it easy to sort using the String.Compare method in an IComparer class. String.Compare sorts both alphabetical characters and numbers. However, certain data types do not sort correctly using String.Compare, such as date and time information. For this reason, the System.DateTime structure has a Compare method just as the String class does. This method can be used to perform the same type of sorting based on chronological order. In this section, you modify only the Compare method to allow for dates to be sorted properly. // Parse the two objects passed as a parameter as a DateTime. // Compare the two dates. The Compare method starts by casting the x and y parameters to DateTime objects. This extraction is performed in a try/catch block to catch exceptions that might occur by forcing the casting of the two items being compared into DateTime objects. If an exception does occur, it signals to the code that the type being converted is not a valid date or time and can be sorted by the String.Compare method. If the two types are dates, they are sorted using the DateTime.Compare method. The ListView control can provide the ability to display data in a number of ways. It can be used to display single items as well as items that contain subitem information. Using the sorting features provided by the ListView control, you can also enable users to sort items in the ListView control based on those subitems, regardless of the type of data being presented. This ability to sort items and their subitems enables your application to behave in ways that are familiar to users of Microsoft® Windows® Explorer and other applications that provide a ListView display of data and the ability to sort its contents. A ListView can be displayed using one of four different views. The ListView is exactly like the Windows Explorer lists, allowing views for tiles, detail, icons. ListView also allows other properties like unique colors for each item, and checkboxes. ListBox is much simpler, vertical only list. When this method completes successfully, it returns a list of the subfolders in the current folder. The list is of type IReadOnlyList&lt;StorageFolder >. Each folder in the list is represented by a StorageFolder object. When you use an option other than DefaultQuery with a library folder, the query returns a list of virtual folders that represent containers for files from the subfolders of the current folder. (Files from the current folder are not included.) The files are grouped into virtual folders based on the specified value from the CommonFolderQuery enumeration. For example, if you specify GroupByMonth, the query returns a list of virtual folders such as July 2014, August 2014, and September 2014. > > [!TIP] > You can use the DefaultQuery option with any folder; you can use the other options from the CommonFolderQuery enumeration only with library folders, such as the Pictures library, or the Homegroup folder. GetFoldersAsync(CommonFileQuery) Specify the DefaultQuery option. For a library folder, specify an option other than DefaultQuery. GetFoldersAsync(CommonFileQuery, UInt32, UInt32) Specify the DefaultQuery option. For a library folder, specify an option other than DefaultQuery. CreateFolderQuery(CommonFileQuery) Specify the DefaultQuery option. For a library folder, specify an option other than DefaultQuery. When this method completes successfully, it returns a list of subfolders. When the value of the query argument is something other than CommonFolderQuery.DefaultQuery, this method returns a list of virtual folders that represent containers for groups of files in the subfolders of the current folder. (Files from the current folder are not included.) The files are grouped as specified by query. The list is of type IReadOnlyList&lt;StorageFolder >. Each folder in the list is represented by a StorageFolder object. 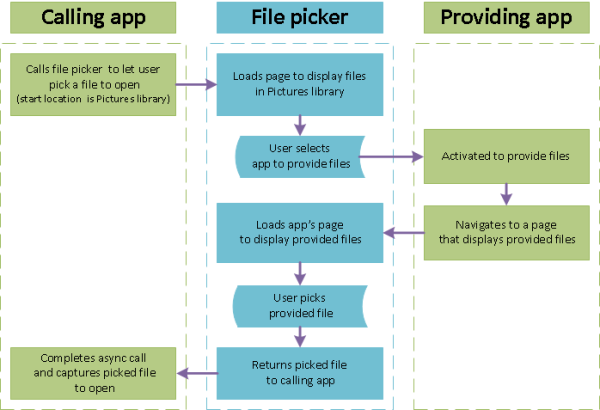 Segoe MDL2 icon guidelines - UWP app developer _ Microsoft Docs. My Windows 10 UWP app is calling a WebAPI web service that I have created. I need to send a JPG file from the UWP app to the server so that the server can store it into another application. I am using using Windows.Web.Http; as recommended for UWP and using Windows Authentication to connect to the server. When I perform a POST using the following code, I get the IRandomAccessStream does not support the GetInputStreamAt method because it requires cloning error shown below. I am able to POST HttpStringContent to the same web service and receive the responses without any issue. The issue is when trying to send a file to the web service using HttpStreamContent. After you get the file and begin to create a HttpStreamContent instance, you can try to use the StorageFile.OpenAsync method to get an IRandomAccessStream object, then put it as the HttpStreamContent object constructor parameter. The code will be like this, you can have a try. This is an offbeat post. Recently I was attending Verint training which happens to be a COTS product for managing your Call Center requirements. These requirements include the ones like Call Recording, Screen Capture, Quality management of calls / Scoring, Reports, etc. 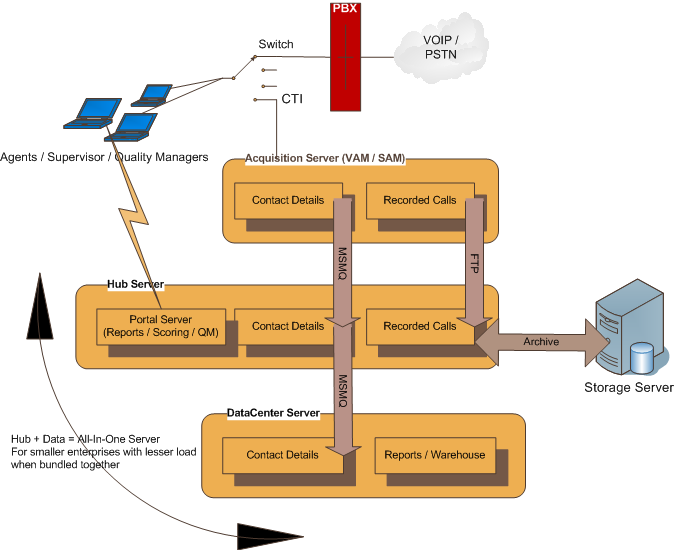 In this post I will jot down the basics of Verint Architecture I could collect from session. Verint like any other Call Center Management related product taps into your incoming PSTN network via PBX and CTIinterface. CTI interface raises events on various activities, for instance whenever there is an incoming call to your contact center. From here Verint takes over and starts recording the call. Verint also supports Screen capture in case your business needs one. Verint has a tiered architecture in form of – Acquisition Server, Hub & Data Center. Verint distinguishes between Hub & Data Center for high volume scenarios, otherwise it bundles both together into something called AIO (All-In-One) Server. Acquisition Server is where modules like VAM (Voice Acquisition Module) & SAM (Screen Acquisition Module) run. Recorded calls are stored here temporarily, and corresponding call detail is captured (Verint calls it as Contact detail). The recorded call files are moved from Acquisition Server to Hub Server via FTP. And the Contact details which are stored in SQL Server are transferred to Hub Server via MSMQ. There is a purging service on Acquisition Server which can purge recorded calls data on disk space available, duration, etc. Hub Servers appeal seems to be there from a Latency (performance) standpoint. They get Contact details & recorded voice calls from Acquisition Server. Acquisition server has a relatively small storage and relies on Hub for larger storage. All the recorded voice calls needs to be backed up (archived) from Hub Server itself. But unlike them Contact details are synced with Data Center again via MSMQ. I am not quite sure of the motivation in handling these two differently. Verint Portal is also deployed on Hub Server. Data Center Servers are the ones that have entire Contact database available with them. They also have reporting tools, data warehouse, application database (scoring for instance), speech analytics etc. as part of their system. Data Center seems to handling everything apart from recorded calls which are archived at Hub level. 개인적으로 최근들어 SNMP에 관심을 가지게 되었다. (실은 상당히 오래되었지만) 그래서 앞으로 몇부? 에 걸쳐서 SNMP관련 강좌를 개설하고자 한다. 강좌는 SNMP개요및 설치운용에서 부터 시작해서 프로그래밍을 통해서 SNMP응용 애플리케이션을 제작하고, 확장 MIB(뒤에 설명한다)를 작성하는 것 까지를 다룰것이다. 이번글은 그중 첫번째 글로 SNMP개요와 설치및 운용에 대한 글이다. 설치및 운용은 실제 어떻게 작동되는지 눈으로 확인하는 차원의 수준에서 이루어질 것이며, 설치되는 snmp애플리케이션의 상세설치와 높은 수준에서의 운용에 대해서는 언급하지 않을것이다. 이러한 것들은 (필요할경우)해당 snmp애플리케이션의 메뉴얼을 참고해서 개인적으로 학습해야만 할것이다. 여기에서 얻은 지식은 나중에 SNMP애플리케이션을 제작하는 밑거름이 될것이다. SNMP는 Simple Network Management Protocol의 약자이다. 해석을 해보자면 간단한 네트워크관리를 위한 규약 인데, 말그대로 SNMP는 네트워크관리를 위한 용도로 사용되는 프로토콜이다. 가장 앞에 Simple라는 단어가 붙어있는데, 진짜로 간단한 프로토콜인지 아닌지는 사람에 따라 약간씩 차이가 있을수 있다. 필자가 보기엔 그리 복잡한 프로토콜은 아닌것 같은데, 어떤 사람들은 매우 복잡한 프로토콜 이라고 말하는 사람들도 있다. 그럼 먼저 SNMP가 나타난 배경에 대해서 알아보도록 하겠다. SNMP가 쓰이기 전에 일반적으로 사용되는 네트워크 관리는 ICMP에 의존했었다. ICMP는 Network계층의 프로토콜로써, 운영체제에 관계없이 사용할수 있는 간단한 프로토콜이였다. 이 프로토콜을 이용해서 우리는 네트워크로 연결된 각각의 호스트가 작동하고 있는지, 작동한다면 어느정도의 응답시간을 가지고 작동하는지 등의 간단한 정보를 얻을수 있었으며, 초기에는 이정도로도 필요한 네트워크 관리가 가능했었다. ICMP를 이용한 가장 유용한 도구는 아마도 ping 프로그램일 것이다. 그러나 인터넷의 사용이 보편화되고 네트워크에 연결된 호스트의 수가 증가하자 거기에 따라서 네트워크 구성역시 복잡해지고, ICMP만을 가지고는 이러한 네트워크의 관리를 효율적으로 할수 없게 되었다. 그래서 몇가지 프로토콜에 대한 연구가 진행되었고, SGMP, HIMS, CMIP/CMIS등이 제안되게 되었다. 이중에서 SGMP를 발전시킨 SNMP가 사실상 네트워크 관리를 위한 표준적인 프로토콜로 자리잡게 되었다. 다른 프로토콜들이 사용되지 않은데에는 몇가지 이유가 있었다. CMIP/CMIS는 너무 방대하고 너무 복잡했으며, HEMS의 경우에는 실제 적용사례가 적었기 때문이다. 어쨋든 SNMP는 거의 대부분의 운영체제에서 사용되어 지고 있다. 여러분이 사용하는 Linux, 그밖의 대부분의 유닉스와, 윈도우계열 운영체제는 기본적으로 SNMP프로토콜을 사용하는 도구들을 제공하고 있다. 그외에도 router등 TCP/IP를 네트워크 프로토콜로 사용되는 운영체제들 역시 SNMP는 필수적으로 제공하고 있다. SNMP를 이용해서 할수 있는 것들은 다음과 같다. 네트워크상의 호스트들이 어떤 구조를 이루고 있는지 지도를 그리는게 가능하다. 각 네트워크 세그먼트간 네트워크 사용량, 에러량, 처리속도, 응답시간 등 성능 분석에 필요한 통계정보를 얻어낼수 있다. SNMP의 주목적이 네트워크관리관리 이기는 하지만 SNMP특유의 유연한 확장성을 이용하여서 시스템정보(CPU, MEMORY, DISK 사용량)의 정보를 얻어올 수 있도록 많은 부분이 확장되었다. 이 정보는 네트워크문제를 해결하는데 큰도움을 준다. 예를들어 특정 세그먼트의 네트워크 사용량이 갑자기 급증했는데, 특정 호스트의 CPU사용율까지 갑자기 증가했다면, 우리는 해당 호스트에서 문제가 발생했을것이란걸 유추해낼수 있을것이다. 정보의 제어 및 보호 기능, 최근버젼인 SNMP3는 특히 정보보호를 위한 기능이 향상되었다. SMTP는 인터넷상에서 메시지를 교환하기 위한 프로토콜로 사용되며, 주로 전자메일 교환을 위해서 사용되는 프로토콜이다. 그러나 SMTP는 어디까지나 프로토콜일 뿐이며, 실제 메시지를 인터넷상에서 주고 받기 위해서는 SMTP프로토콜을 사용하는 SMTP서버(Sendmail같은)와 SMTP클라이언트(mutt, pine같은)가 준비되어 있어야만 한다. SNMP역시 그자체로는 프로토콜일 뿐이며 SNMP프로토콜을 활용해서 실제 네트워크 관리 정보를 얻어오기 위해서는 응용 애플리케이션이 준비되어있어야만 한다. 보통의 네트워크프로토콜을 사용하는 애플리케이션이 서버/클라이언트 모델로 구성되듯이 SNMP역시 서버와 클라이언트로 구성된다. 일반적으로 SNMP망 에서는 서버/클라이언트라고 부르지 않고 snmp manager/snmp agent라고 부른다. snmp agent는 관리대상이 되는 시스템에 설치되어서 필요한 정보(네트워크 혹은 시스템)를 수집하기 위한 snmp 모듈(혹은 애플리케이션) 이며, snmp manager은 snmp agent가 설치된 시스템에 필요한 정보를 요청하는 snmp 모듈이다. snmp agent는 서버, snmp manager은 클라이언트로 생각하면 이해하기가 좀더 수월할 것이다(그러나 반드시 agent가 서버, manager이 클라이언트가 되는건 아니다. 그냥 개념적으로 이해만 하고 있도록 하자). SNMP는 네트워크를 관리하기 위한 프로토콜이다. 그렇다면 무엇을 관리할 것인가(관리객체)를 결정해야 할것이다. 관리객체를 결정했다면, 이러한 관리객체를 효과적으로 관리하기 위해서 이를 분류해야 할것이다. 이게 바로 MIB이다. MIB는 Man In Black의 줄임말이 아니다. Management Information Base의 줄임말인데, 관리되어야할 자원 객체의 분류된 정보를 말한다. 관리되어야할 객체는 시스템정보, 네트워크사용량, 네트워크 인터페이스정보 등이 된다. 이 MIB객체들은 관리하기 편하도록 Tree구조를 가지게 된다. 다음은 MIB의 일반적인 구조이다. MIB는 위에서 처럼 계층적인(디렉토리) 구조를 가지게 된다(위의 그림은 MIB를 설명하기 위해 일부만을 표시하고 있다). 예를들어서 agent가 설치되어 있는 시스템으로 부터 시스템부가정보(sysDescr)를 얻어오길 원한다면 ISO.org.dod.internet.mgmt.mib-2.system.sysDescr과 같은 식으로 manger에서 데이타를 요청하면 된다. 위의 MIB계층 구조를 보면 각 MIB옆에 숫자가 있는것을 볼수 있다. 이 숫자가 OID번호이다. 즉 sysDescr의 OID값은 1.3.6.1.1.2.1.1.1 이 될것이다. OID번호를 이용하는 이유는 MIB고유 문자열을 통해서 원하는 데이타를 가져오기위해서는 아무래도 요청이 길어질수가 있기 때문이다. MIB는 IANA(Internet Assigned Number Authority)라는 단체에서 관리하며 표준적으로 사용되고 있다. 그럼으로 표준적인 MIB구현을 위해서는 IANA에서 OID를 부여받아야만 한다. 그래야 전체네트워크상에서 다른 여러가지 MIB와 중복되지 않고 사용이 가능할것이다. 작은 정보: cisco과 같은 대중적인(거의 표준이나 마찬가지인) 제품들은 모두 자체적인 MIB를 구현해서 IANA에 등록하여 사용하고 있다. 여러분이 cisco 라우터등의 SNMP정보를 접근할수 있다면 cisco MIB가 등록되어 있음을 확인할수 있을것이다. 확인하는 방법은 다음 강좌에서 따로 언급하도록 하겠다. MIB는 계층적 구조를 가짐으로 필요에 따라서 확장해서 사용이 가능하며, (물론 프로그래밍 능력이 있어야 하지만)때에 따라서는 자체 회사내에서만 사용가능하거나 제한된 네트워크 영역의 네트워크상황을 관제하는 제품을 위한 MIB를 추가해야 하는경우가 생길수 있을것이다. 그래서 사설로 MIB를 만들어서 사용할수 있는 여지를 남겨두었다. (마치 독립된 지역네트워크를 위해 사설IP를 사용하는 것처럼) 이러한 사설 MIB는 private(4)의 enterprises(1)에 정의해서 사용할수 있다. 여러분이 그리 대중적이지 않은 그래서 IANA에 등록되지 않은 어떤 장비의 고유 SNMP정보를 얻어오고 싶다면 업체에 문의하거나, 메뉴얼을 확인하는 정도로 쉽게 SNMP정보를 얻어올수 있다. 현재 MIB는 버젼 2까지나와 있으며, 버젼의 구분을 위해서 MIB-1, MIB-2로 부르고 있다. MIB-2는 MIB-1의 확장판으로 MIB-1의 모든 객체를 포함하여 약 171개의 객체들을 더 포함하고 있다. 최근의 제품들은 대부분 MIB-2를 지원하고 있다. 물론 위에서 말했듯이 독자적인 MIB를 만들어서 사용할수 있으며, 이를 확장 MIB라고 부른다. 현재 SNMP는 버전 3가지 나와있는 상태이지만 아직까지는 버젼2가 가장 널리 사용 되고 있다. 필자역시 SNMP 버젼 2에 대한 경험이 많은 관계로 버젼2를 기준으로 설명하도록 하겠다. SNMP는 기본적으로 네트워크 정보를 수집하는데 그 목적이 있는데, 수집하는 몇가지 각각 다른 방법이 있다. 일반적으로 생각해서 우리가 생활중에 얻게 되는 정보는 우리가 요구해서 발생하는 정보와(신문을 구입한다든지, 인터넷으로 서핑을 하는등) 뉴스속보와 같은 형식으로 중요한 일이 있을때 발생하는 정보가 있을것이다. 또한 단지 정보를 얻는데 그치지 않고 정보를 입력하기도 한다. SNMP정보수집역시 기본적으로 위의 일상생활에서의 정보수집과 같은 방식으로 이루어진다. 이하 snmp manager은 manager로 snmp agent는 agent로 부르도록 한다. manager에서 agent로 특정 정보를 요청하기 위해서 사용한다. 기본적으로는 GET과 같은일을 한다. 그러나 SNMP에서 각정보들은 계층적 구조로 관리된다. 위의 MIB계층 구조를 나타낸 이미지에서 우리는 system(1)계층밑에 있는 모든 정보를 가져오고 싶을 때가 있을것이다. 그럴경우 GET NEXT를 사용할수 있다. manager에서 agent로 특정 값을 설정하기 위해서 사용한다. agent에서 통보해야될 어떤 정보가 발생했을때(임계치를 넘는네트워크자원 사용등) manager에게 해당 상황을 알리기 위해서 사용한다. 위의 다른 요청들이 동기적 요청이라면 이것은 비동기적 사건을 알리기 위해서 사용되어진다. SNMP프로토콜은 기본적으로 어떤 정보를 요청하는 메시지와 이에 대한 응답메시지로 이루어지며 다음과 같은 구조를 가지고 있다. Version은 말이 필요없다. SNMP프로토콜의 버젼번호를 나타낸다. Community name은 메니저와 에이전트간의 관계를 나타내는데, 인증, 접근통제등의 목적으로 사용된다. 보통은 간단하게 public을 사용한다. PDU 는 Physical Data Unit의 줄임말인데, 실제 전송되는 필요한 정보들을 담고 있는 Unit이다. Unit 이라고 하는 이유는 실제 전송되는 정보들의 부가 속성을 나타내기 위한 몇가지 값들을 포함하고 있기 때문이다. PDU는 PDU 타입(GET인지 Set인지 GET Next인지, TRAP인지등)과, Request-id, 실제보내고자 하는 데이타등(OID와 OID에 대한 값들)으로 구성되어 있다. SNMP를 통해서 전달되는 메시지들은 기본적으로 UDP를 이용하게 된다. 바로위에서 PDU는 Request-id를 포함하고 있다고 했는데, 데이타그램처리방식인 UDP의 단점을 극복하기 위해서 사용되는 값으로, 각 메시지의 요청번호를 표시한다. 그래야만 수신된 SNMP메시지가 어떤 요청에 대해서 수신된 메시지인지 확인이 가능할것이기 때문이다. 그럼 실제로 시스템에 SNMP(agent와 manager 애플리케이션)을 설치해서 정보를 가져오는걸 간단히 테스트 해보도록 하겠다. 설치는 Linux(Kernel-2.4.x)에서 ucd-snmp로 할것이다. 위에서 설명했듯이, SNMP는 manager과 agent로 운영되게 되는데, 테스트의 편의를 위해서 하나의 시스템(localhost)에서 manager와 agent를 운용하도록 하겠다. ucd-snmp는 net-snmp.sourceforge.net에서 얻을수 있으며 애플리케이션 관련 정보들도 얻을수 있다. ucd-snmp는 현재 버젼 5.x대까지 진행되어 있는데, 5.x부터는 net-snmp로 이름을 바꾸고 개발되어지고 있으며, 4.x버젼까지를 ucd-snmp라고 부르고 있다. 필자는 익숙한 ucd-snmp(버젼 4.x)를 설치하도록 할것이다. 비록 net-snmp가 최신이긴 하지만 별로 다루어본적이 없고, 대부분의 경우 아직까지는 ucd-snmp가 많이 사용되어지고 있기 때문이다. 최신이 아니라고 불만을 가질 필요는 없다. 근본적으로 net-snmp와 ucd-snmp간의 차이는 없으며, 우리의 목적은 최신의 snmp애플리케이션을 테스트하는게 아닌 snmp의 기능과 원리를 이해하고 이를 이용해서 필요한 응용 애플리케이션을 작성하는 것이기 때문이다. 위의 URL에서 ucd-snmp를 다운받아서 압축을 풀고 컴파일 하도록 하자. 컴파일 하는중에는 아마도 아무런 문제가 없을것이다. 컴파일은 매우 일반적인 방법을 따른다. 적당한 디렉토리에 압축을 풀고 ./configure, make, make install 하면된다. 헤에... 너무 간단하지 않은가 ? make install 까지 했다면 agent와 manager프로그램이 모두 설치되어 있을 것이다. 그리고 여기에 더불어 개발자를 위한 각종 라이브러리와 헤더파일들도 설치된다. 이 라이브러리와 헤더파일들은 개발할때 필요하며 다음 강좌에서 다루게 될것이다. ucd-snmp는 agent 프로그램으로 snmpd를 제공한다. agent환경을 제대로 만들려면 복잡해보이는(사실은 그리 복잡하다고 볼수없는) 설정파일을 만들어줘야 하지만 이것은 각자의 몫이다. net-snmp프로젝트 홈페이지에서 제공하는 메뉴얼을 참고하기 바란다. 어쨋든 현재로써는 단지 snmpd를 띄우는 정도로 snmp agent환경을 만들수 있다. 이것으로 snmp를 테스트할 최소한의 agent환경이 구축되었다. GET과 GET NEXT는 동기적인 정보요청을 위해서 사용한다. manager에서 agent에 대해서 정보를 요청했을때 해당 정보를 agent에서 보내주는 방식이다. GET은 단일정보요청을 위해서 사용하며, GET NEXT는 해당 계층의 하위에 있는 모든 정보의 요청을 위해서 사용된다. ucd-snmp는 이러한 정보요청을 위한 manager프로그램으로 snmpget과 snmpnext, snmpwalk를 제공한다. snmpget은 이름에서 알수 있듯이 agent로부터 특정한 정보를 얻어내기 위해서 사용한다. 정보를 얻기 위해 필요한 기본정보는 agent가 설치되어 있는 서버의 주소(혹은 이름) 와 커뮤니티(권한을 위한)이름 그리고 얻기 원하는 정보의 OID번호 혹은 MIB의 계층이름이다. 예를들어서 localhost로부터 public권한을 가지고 sysDescr(시스템 부가정보)정보를 얻어오고 싶다면 아래와 같이 하면 된다. 혹은 MIB이름대신에 OID번호를 사용해도 된다. snmpwalk는 해당 MIB의 하위계층에 있는 모든 정보를 요청한다. 예를들어 system MIB의 하위 계층에 있는 모든 OID에 대한 정보를 요청하길 원한다면 아래와 같이 하면된다. 이게 가능한 이유는 snmpwalk가 정보를 요청하기 위해서 snmp메시지를 만들때 PDU타입을 GET NEXT를 사용하기 때문이다. 나중에 직접구현하게 될것이다. 지금은 구현에 신경쓰지 말자. system하위의 모든 OID에 대한 정보를 얻어오고 있음을 확인할수 있다. snmpgetnext는 snmpwalk의 기능 축소판정도로 볼수 있을것이다. 즉 MIB계층구조에서 현재 요청한 OID의 다음 OID의 정보를 가져온다. 예를들어 system.sysDescr.0에 대한 정보를 요청하면 다음 OID인 system.sysObjectID.0의 정보를 요청하게 될것이다. 이게 가능한 이유는 snmpwalk와 마찬가지로 내부적으로 GET NEXT를 이용하고 있기 때문이다. snmpwalk가 더이상 얻을수 없을때까지 OID를 요청하는것과 달리 snmpgetnext 바로다음의 OID만을 요청한다. 기본적으로 GET, GET NEXT를 통한 데이타요청은 일정한 polling시간을 가지고 manager에서 agent로 필요한 정보를 요청하는 방식이다. 그러나 이걸 이용해서는 비동기적으로 발생하는 정보를 수집할수가 없다. 이러한 비동기적인 정보는 여러가지가 될수 있다. 예를들면 특정 네트워크 세그먼트에 문제가 생겼다거나 디스크나 메모리용량을 과다하게 사용하고 있다거나(많은 운영체제의 경우 시스템정보까지도 snmp를 통해서 얻을수 있도록 허용하고 있다)하는 사건들은 비동기적으로 발생할것이다. 이럴경우에는 agent에서 manager측으로 사건을 통보해야 할것이다. 이렇게 agent에서 manager측으로 비동기적으로 사건을 통보하는 것을 SNMP TRAP라고 한다(간단히 말해서 경고메시지 보내는거다). ucd-snmp에서는 이러한 trap정보를 전송하고 받기 위해서 snmptrapd와 snmptrap를 제공한다. snmptrapd는 agent에 제공되는 데몬프로그램으로 manager에서의 trap데이타 발생을 기다린다. snmptrap는 agent에 설치되어서 사용될수 있으며 trap데이타를 manager로 전송하는 일을한다. 이 snmptrap은 꽤 유용하게 사용할수 있다. 간단하게 스크립트로 만들어서 어떤 파일이 변조되었을경우 trap정보를 manager쪽으로 발생시킨다거나, 프로세스 갯수가 일정갯수 이상 초과했을때 이를 전송한다든지 하는 기능을 비교적 간단하게 추가시킬수 있을것이다. 다음은 ucd-snmp에서 제공하는 trap애플리케이션을 이용한 간단한 테스트이다. 먼저 snmptrapd를 manager측에서 실행시켜야 한다. 이 애플리케이션은 옵션없이 실행할경우 데몬모드로 실행되며 표준출력을 시키지 않음으로 다음과 같이 옵션을 주고 실행시켜서 일반모드(forground)에서 받은 trap정보를 표준출력하도록 실행시키도록 하자. 2003-04-23 00:13:34 UCD-snmp version 4.2.6 Started. 이제 agent측에서 snmptrap를 이용해서 trap정보를 manager로 전송해보도록 하자. [root@localhost root]# snmptrap -v 2c -c public localhost "" ucdStart sysContact.0 s "yundream"
그러면 manager로 system.sysContact.0="yundream" 과 같은 정보가 전달되는걸 확인할수 있을것이다. 이들 ucd-snmp에서 제공하는 애플리케이션들의 자세한 사용법은 메뉴얼 페이지를 참고하기 바란다. 이상 SNMP의 개념과 개념의 이해를 위해서 실제 사용되는 snmp애플리케이션을 설치해서 간단히 운영테스트까지 해보았다. 이러한 운영테스트를 위해서 ucd-snmp를 사용했는데, 다음 강좌는 ucd-snmp에서 제공하는 snmplib를 통해서 snmp애플리케이션을 만드는 법을 다루도록 하겠다. 이곳저곳에서 본 내용을 짜집기 해서 만든 내용입니다. 밑에 참고했던 내용들을 달아놨으니, 혹시 필요하시면 찾아가 보시기 바랍니다. C++로 만든 dll은 기존의 C#의 dll을 사용하던 것 처럼 reference에 추가해서 사용하실 수 없습니다. 그래서 코드에 직접 , 사용한다고 선언해주고 사용하여야 합니다. 2 ) [DllImport("TestLib.dll")] 를 이용하여 사용할 Dll을 명시한 후 사용할 함수를 선언합니다. 3) 그리고 그냥 함수처럼 사용하시면 됩니다. 그 프로젝트를 참조하여 C#에서 사용하는 방법이 있습니다. 주의 ) 어쩌면 더 귀찮아 지실수도... 있습니다. * 하지만 약간의 디버깅이 가능하고, 밑의 파라미터 관련하여 포팅도 가능합니다!!! C++에서 사용하는 클래스와, C#에서 사용하는 클래스가 다르기 때문에, 파라미터 사용에 대해서 약간의 포팅이 필요합니다. HWND는 윈도우 핸들을 표현하는 32비트 정수 이므로, int형으로 치환되고 LPCSTR 형은 NULL로 끝나는 문자열을 표현합니다. 이때 PInvoke는 string을 자동으로 LPCSTR로 치환해 주는 역할을 하게 됩니다. Win32 API에서 일반적으로 사용하고 있는 데이터형은 모두 C#의 데이터 형으로 치환될 수 있습니다. 단, String의 경우는 인코딩과 관련하여 약간 까다롭습니다..
이 경우는 다음과 같이 해결하였습니다. (한글을 사용하지 않는 이상) 글자가 깨지지 않고 잘 전달되는 모습을 확인하실 수 있습니다..
Attribute에서 명시적으로 String에 대해 LPWStr로 변환해서 넘겨주도록 지정하고 있기 때문이에요. 아래와 같은 과정이 자동으로 수행된다 생각하셔도 되겠습니다. Base64 인코딩은 64개의 문자를 이용하여 바이너리 데이터를 아스키 텍스트 데이터로 표현하기 위해 사용됩니다. 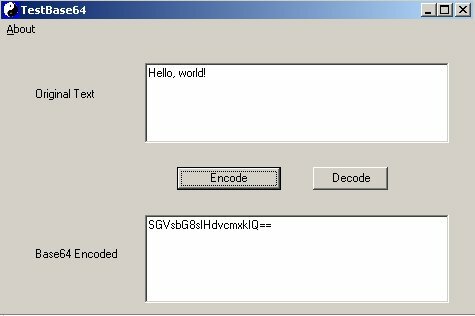 base64는 8bit의 데이터(바이너리)를 6bit의 크기로 표현합니다. 따라서 24bit를 단위로 하여 3개의 문자에서 4개의 문자를 얻게 되는 것입니다. 위와 같이 abc를 base64 인코딩 하여 YWJj를 얻을 수 있게 됩니다. 여기서 6bit의 이진수는 아래의 base64 table을 이용하여 문자로 바꿔줍니다. 그리고 base64 인코딩 24bit 단위인데 인코딩할 문자가 3개(24bit) 단위가 아닐 때는 어떻게 되는지 알아보겠습니다. 위의 결과를 보면 a라는 문자 하나를 넣었을 때는 YQ==으로 base64 table에 없는 '=' 문자가 추가된 것을 알 수 있습니다. '='은 bit수를 맞춰주기 위해 0으로 채워주는 패딩이라는 것 입니다. 그럼 문자의 개수가 3n+1개 일 때는 '='이 2개가 될 것이고, 3n+2개 일 때는 '='이 1개가 되는 것을 생각해 볼 수 있습니다. 예를 들어 위에서 'a'를 base64인코딩 하여 YQ==를 얻었습니다. 따라서 YQ==를 디코딩하면 'a'를 얻게 됩니다. 그런데 YR==, YS==, YT== 등 을 디코딩 해보면 모두 'a'가 나오는 것을 볼 수 있습니다. 아래 그림을 보면서 생각해보면 왜 그런지 알수 있습니다. 여기서 '='이 2개 이므로 디코딩시 문자가 3n+1개 라는 것을 알 수 있습니다. 그러면 Q(16)을 디코딩시 010000에서 패딩으로 채워진 0000의 4bit는 0이든 1이든 관계가 없다는 것 입니다. 따라서 3n+1개의 문자일 때는 충돌 가지수가 2의 4승인 16개가 생길 것이고, 3n+2개의 문자일 때는 2의 2승인 4개가 생기고, 3n개의 문자일 때는 충돌이 생기지 않게 됩니다. The code implements the encoding and decoding mechanism of Base64, which is widely used in e-Mail encoding and also .NET Viewstate encoding. It is written based on RFC 1341, using VS.NET 2003. I didn't implement filtering and inserting carriage return and newline etc. /// Summary description for Base64Encoder. /// Summary description for Base64Decoder. //assuming all whitespace and carriage returns/newline were removed.